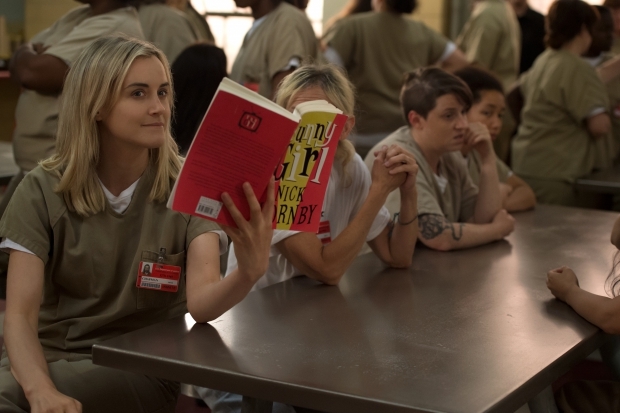 Netflix’s Orange is the New Black was the most in-demand digital original in the Netherlands for the week ending September 9, according to Parrot Analytics’ latest statistics. 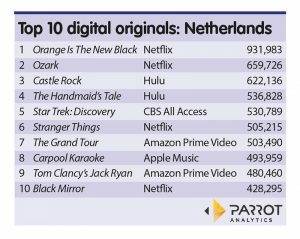 Parrot’s list of the top 10 digital originals in the Dutch market for the week from September 3-9 saw the prison drama take top slot with an average of 931,983 demand expressions, well ahead of second-placed Ozark, also from Netflix, with 659,726 demand expressions. Castle Rock, produced by Hulu in the US, came third, followed by Hulu’s The Handmaid’s Tale, with CBS All Access’s Star Trek: Discovery, distributed by Netflix internationally, taking the number five slot. 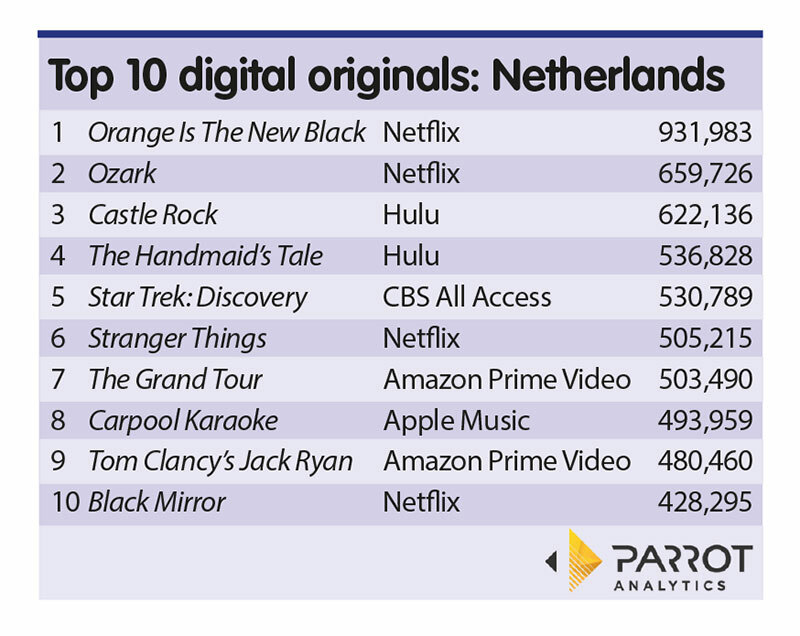 The remainder of the top 10 comprised Netflix’s Stranger Things, Amazon Prime Video’s The Grand Tour, Apple Music’s Carpool Karaoke, Amazon Prime Video’s Tom Clancy’s Jack Ryan and Netflix’s Black Mirror.